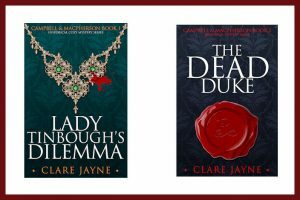 To celebrate the upcoming release of “Campbell & MacPherson 1: Lady Tinbough’s Dilemma” on 17 March, I have 5 historical mystery paperbacks to be sent to a lucky winner. The Giveaway is hosted by Gleam and is open internationally in anyone over 18. To enter you just have to say why you want to win the prize. (Comments will appear below this post.) You can read the full Terms and Conditions when you click to enter. 5 paperback novels: “The Murder at the Vicarage” by Agatha Christie, “The Crime at Black Dudley” by Margery Allingham, “Miss Pym Disposes” by Josephine Tey, “Strong Poison” by Dorothy L Sayers and “The Talisman Ring” by Georgette Heyer. Just click the ‘Enter Competition’ button on the right, then follow the brief instructions to enter the Giveaway. i love mysteries. specially Agatha Christie. I d love ❤ to win these novels, as I’m always open to try authors . To broaden my knowledge, expand my mind, and always be receptive. There’s so much exciting art out there in all shapes and forms, I don’t want to miss any of it ! 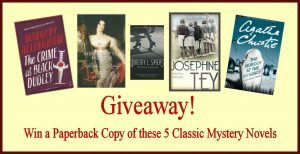 I would love to win these classic historical novels. I am writing my first historical mystery novel. One of the best ways for me to learn the craft is by reading the best writers. I’m a big fan of both historical fiction and mysteries. As a kid, I remember reading Sherlock Holmes and Agatha Christie adaptations and I’ve come to love all sorts of interesting books because of those inspirational pieces. 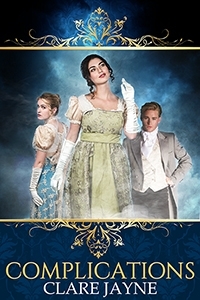 I love historical fiction and am a huge fan of mystery novels. I have only come across a handful of historical mystery novels which I’ve enjoyed and would like to divulge myself in these as well! I’ve just been getting into mysteries, having recently read Agatha Christie’s ‘And then there were none’. It was a great entrance point into the genre and I am looking forward to adding a few more classic and historical mysteries onto my ever-expanding ‘to be read’ list. I love to read mysteries. I’ve read a few Agatha Christie books but would love to try out some new authors as well. Huge fan of mystery novels! Would love to win. These look great! As a frequent library patron mysteries are my favorite!